Update: With Divi updates the columns section of this code no longer works correctly. You can still use the styling for your posts but to change the number of columns I highly recommend you move over to using CSS Grid. You can find a Recipe on how to do it here. Recipe #25 answers a couple of questions I have been asked recently. 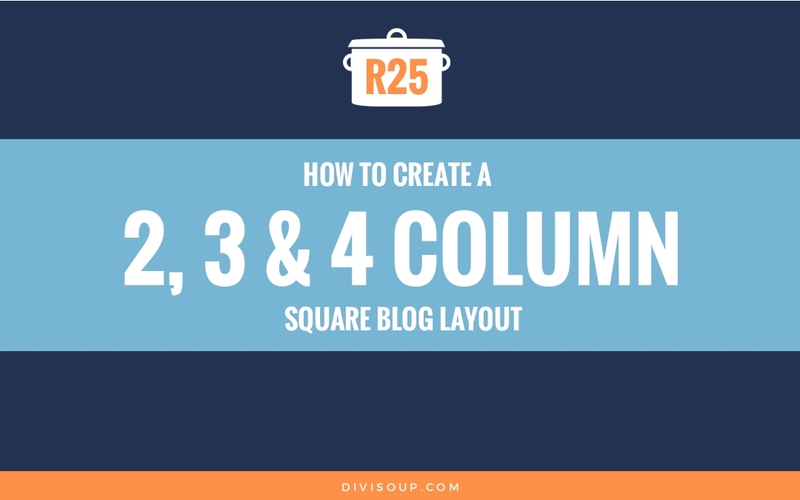 How to change the blog grid layout to four columns (I’ve thrown in two columns as well), and how to make the featured image thumbnails square instead of rectangular. There are a few ways to do this but personally I don’t like messing with PHP unless I have to, I will leave that to far smarter people than me. So this is a totally CSS solution with some cool little snippets you’ll also be able to use elsewhere. Some existing blog posts with featured images set. This should take you around 10 minutes max. First let’s set up our section and blog module. On your page, add a new standard section with a single column. In the row settings, make it Fullwidth. Leave all the other settings alone. 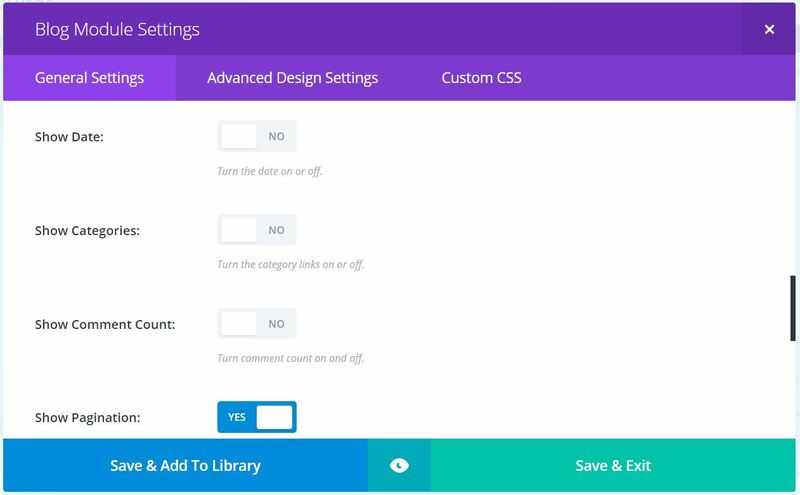 Next we will add some CSS which applies to all three versions of this layout, so whether you choose to create the 2, 3 or 4 column layout, you need to add the CSS from the toggle below into your child theme stylesheet, Divi options custom CSS box or the page specific CSS box. This first section sets the width of our image and uses the object-fit property to crop and scale our image so it keeps its aspect ratio when we make it square. Object-fit is not currently support in IE and Edge so if that bothers you or you don’t want square images, you can just leave this section out completely. Next we are hiding the excerpt as this is the only thing we can’t hide in the module settings, and we are also fixing some margin and padding issues. This section removes some more padding and the default border and positions the post relatively which will allow us to move the post title on top of the image. And finally, the fun part. 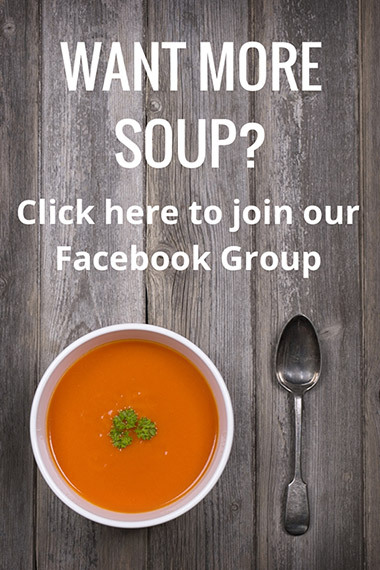 Here we are absolutely positioning the post title so it sits on top of the image, then we are giving it a background colour which is our overlay and making that the same size as our image. We are adding an outline and bringing it in from the edge a little to create a border and then using display: flex to center our post title both horizontally and vertically no matter how many words it is. 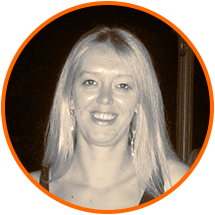 After that we are adding a little animation on hover to move the outline and change the colour of it, and the text. I have styled this very simply using just black and white and a thin outline so it is easy for you to change it however you want. 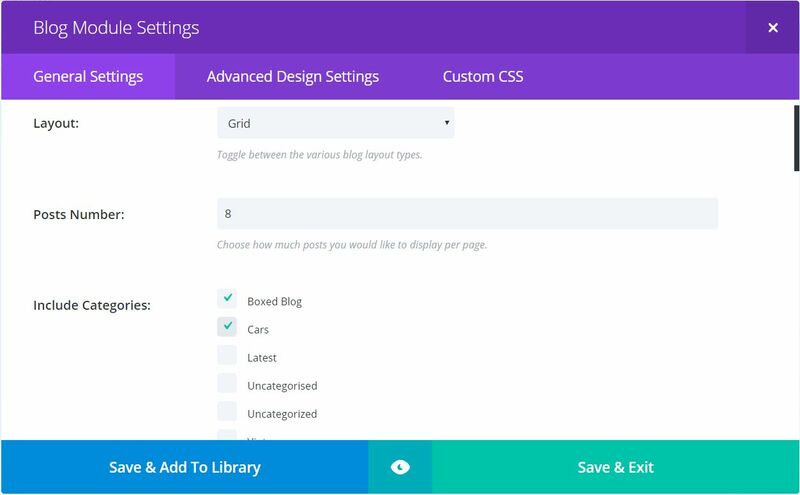 To make all this CSS apply we need to add a custom class to our blog module, so open up the module settings, click on the Custom CSS tab and in the CSS Class field add a class of ds-blog-square then save & exit. Now for the individual layout settings. Open up the row settings, click on the custom CSS tab and give it a Column CSS class of ds-blog-four-column. Be sure to add this to the Column CSS Class field and NOT the CSS Class field. Then save & exit. 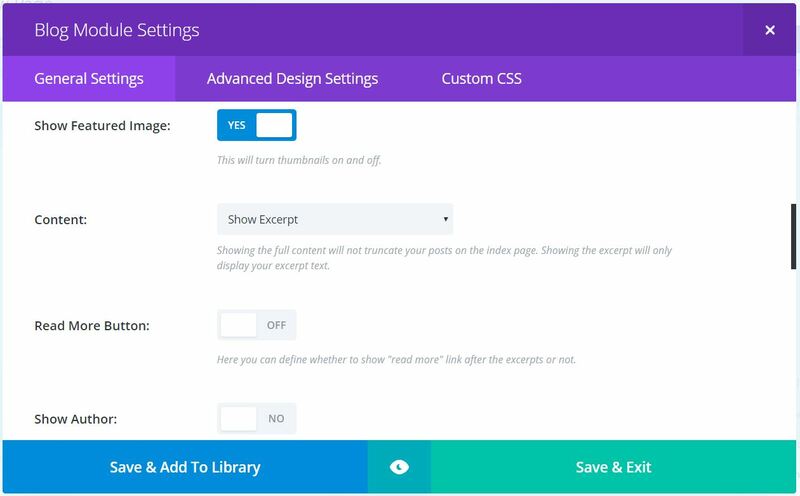 Next, add the CSS from the toggle below into your child theme stylesheet, Divi options custom CSS box or the page specific CSS box. 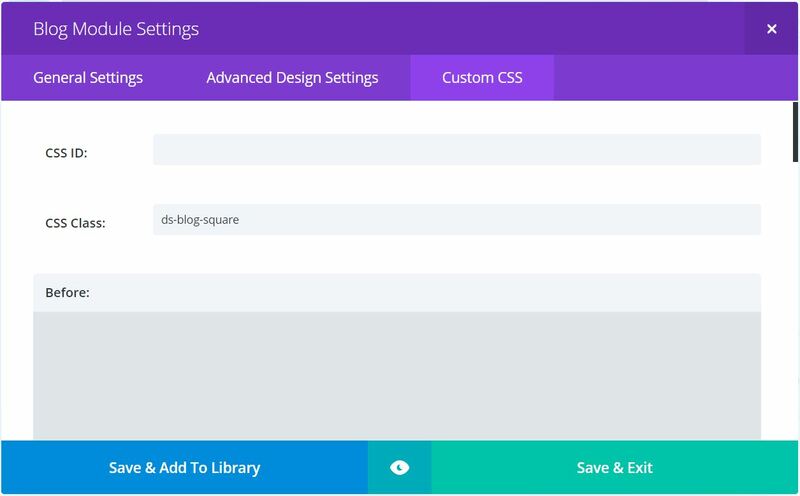 This section changes the layout from the default 3 columns to 4 columns on screen sizes over 980px wide. Below that screen size the layout will move to 2 columns on tablets and then 1 column on mobiles. We are also removing the margin after every 4th post so our layout has the same margin around every post. Here we are setting the margin between each row of posts so it is relatively even and then also setting a default height for our post images to make them square rather than rectangular. If you are not using the object-fit property which is not supported in IE and Edge as previously mentioned, then you can leave the second part of this section out. Finally, some media queries to keep our image relatively square on smaller screen sizes. Again if you are not using object-fit you can leave this entire section out. You can also add some more media queries here if you want to cover other screen sizes but this should be enough for most scenarios. 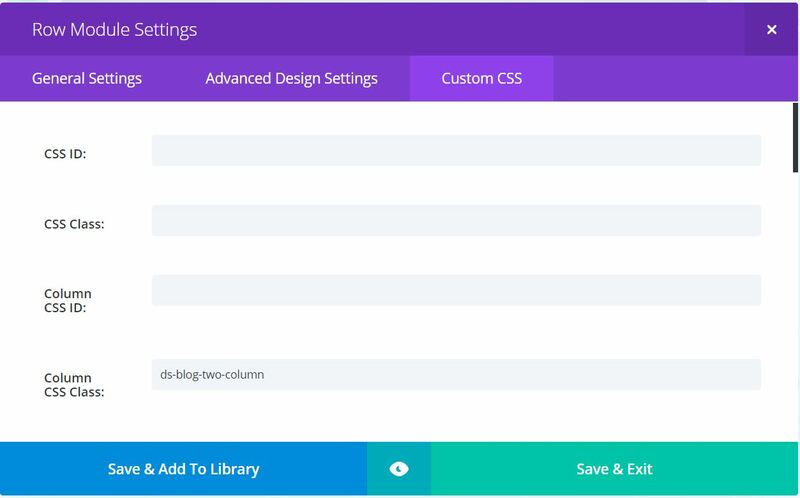 Open up the row settings, click on the custom CSS tab and give it a Column CSS class of ds-blog-three-column. Be sure to add this to the Column CSS Class field and NOT the CSS Class field. Then save & exit. The default blog grid layout is 3 columns so we don’t need to make any changes there. And here we are adding some media queries to keep our image relatively square on smaller screen sizes. Again if you are not using object-fit you can leave this entire section out. You can also add some more media queries here if you want to cover other screen sizes but this should be enough for most scenarios. Open up the row settings, click on the custom CSS tab and give it a Column CSS class of ds-blog-two-column. Be sure to add this to the Column CSS Class field and NOT the CSS Class field. Then save & exit. There is one more step with the two column layout. 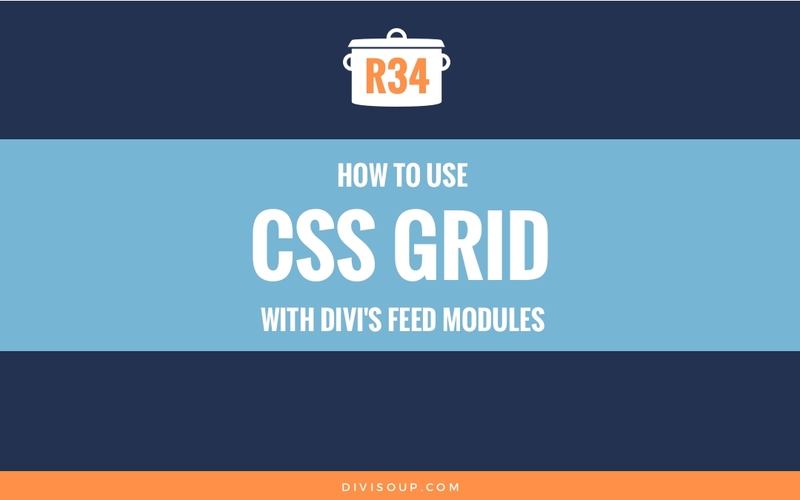 Open up the module settings, click on the Custom CSS tab and right after the class that we added earlier, leave a single space and add another class of ds-blog-square-two then save & exit. This section changes the layout from the default 3 columns to 2 columns. We are also removing the margin after every even post so our layout has the same margin around every post. Lastly, some media queries to keep our image relatively square on smaller screen sizes. Again if you are not using object-fit you can leave this entire section out. You can also add some more media queries here if you want to cover other screen sizes but this should be enough for most scenarios. 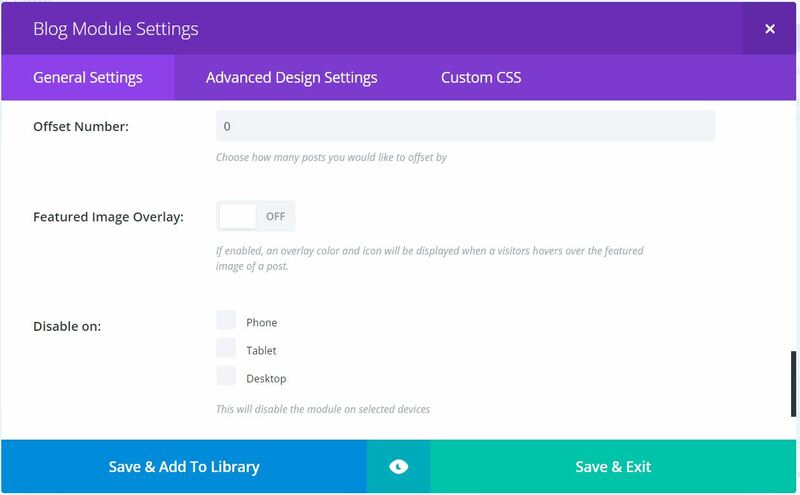 For each version of this layout you will probably want to go into the advanced settings tab of the module and adjust the header font size for desktop, tablet and mobile depending on which font you are using. And that’s it. Now you should have a lovely 2, 3 or 4 columns layout just like my demo. Hi Michelle.. I tried everything.. even used the json file but im not getting 4 column layout.. not sure why..
Hi. Four column not work? Maybe it new update Divi theme? Thank you for this wonderful tutorial! Now my blog looks much cooler! Ok. i see. Thanks anyway! First of all, thank you very much for your help and this wonderful web. You really helped me to fixed some problems on my future website. I noticed my blog page is also doing something strange with the way it organizes posts. I don’t know what method it’s using, but it’s not organizing my posts by date since I put in the 2-column code. Also still having that issue with some rows showing two columns and others showing only one column on the left side. Any ideas? 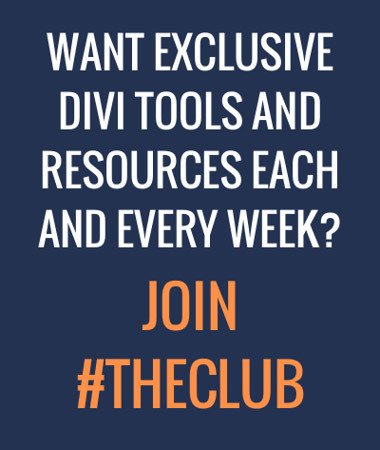 This is a bit outdated now after all the recent Divi updates. I am working through some of my more popular recipes and updating them gradually with new and better code so I will have to say please wait until this is updated as anything tweaked now won’t work well going forward. I have the same problem, is there not solution yet? THANK YOU! I’ve been agonizing over the columns for so long, and the CSS Grid how-to worked perfectly. I even figured out how to update the CSS to keep the hover effect I so wanted from this tutorial. The only things I’m trying to figure out now are how to make all my featured images square and how to make my title text change color on the hover. 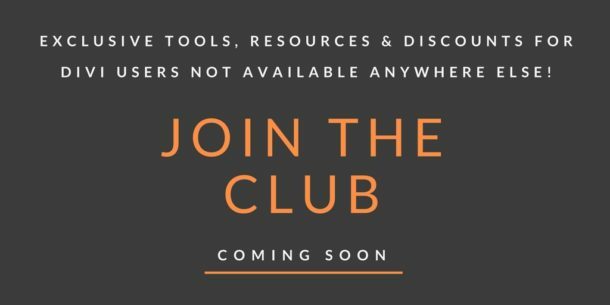 Thanks for being such a great resource! But I have another question. I want to use a 3 col blog grid and on the right side a sidebar. I try Standard 3/4 1/4 element and the Specialy Section (number 4 if I start count top left to count). Could you tell me what I have to do? I was very happily using the 4 column code (Theme Options, Custom CSS / latest version of WP and Divi) on two pages of a client site, but suddenly I notice that all modules are one-column wide, one on top of the other with large spaces in between. I wondered if this is what Josep is referring to below so added the CSS inside style tags in a code module on the page but that hasn’t helped. Does the entire CSS go in there unadulterated, or is there anything I should be adding/removing to the code? That’s great Sarah, and I completely agree, they should be off by default! Thanks for a great tutorial! I wonder if it’s possible to remove the dark overlay so the images look normal when you don’t hover over them? Hey Michelle, thanks so much for this. For some reason, my images are blown out. I’ve got the 100% width and the 45vh but I can’t figure out what’s wrong. Great work writing this tutorial. We succesfull made the change, but in one of the last updates of DIVI, actually we have version 3.0.65, the 4 columns tweek stopped working. Any suggestion for update the code? Where have you added the CSS Josep? I see this also happened in my demo so moving it inside style tags in a code module fixes the issue. I have not tried it in the stylesheet yet. 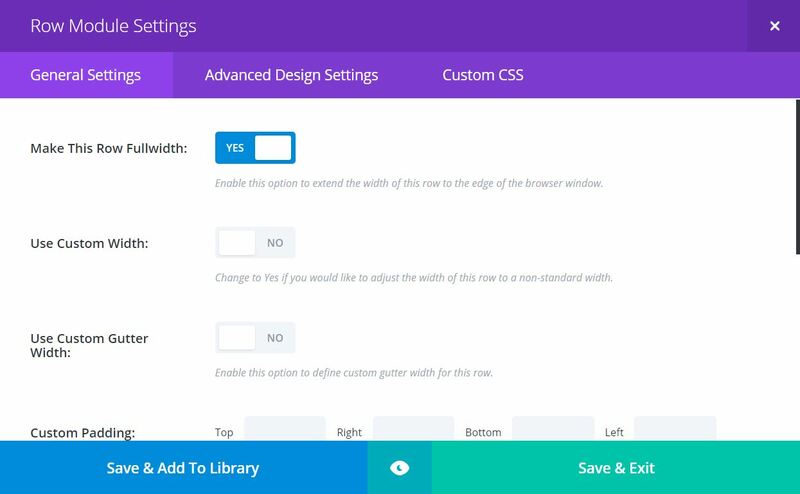 Thank you very much Michele!, we was added the CSS style to the page specific Custom CSS box of DIVI Builder Settings. Now we add a new CODE module and we paste the CSS and now works. Hello, I’m not so familiar with these code modules. I inserted code module below blogmodule and inserted 4 columns css code there but nothing happened. Where and how this code actually should be inserted? I am not sure why you are using a code module, the tutorial does not call for one? 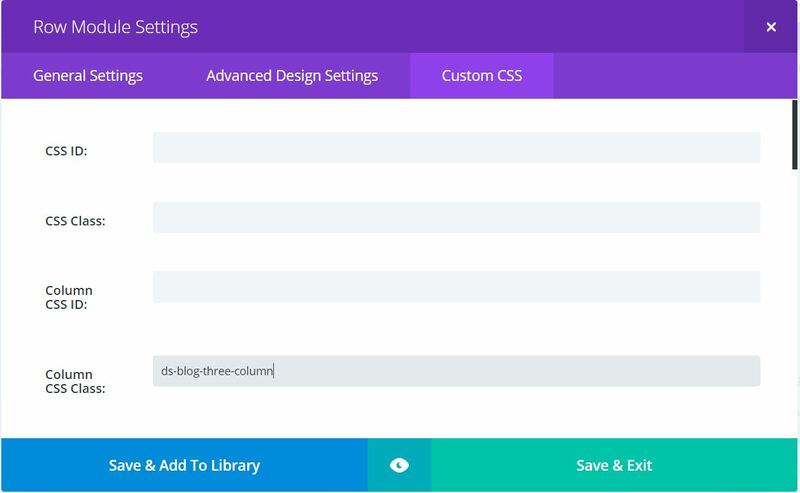 Currently with the latest version of Divi 3.0.64 there is no field for Column CSS in the Row settings, it’s for column 1 & 2. I want to ask you. Is it possible to create 4 blog posts on the row if the row contains 3/4 (blog) 1/4 (sidebar) ? Yes it is, this is on my list to write about as its a fairly common question. Hello, Thank you very much for this. I am having a very difficult time with the columns changing as they should in tablet and phone view. I have checked the code and tried to tweak it many times and it still keeps four rows no matter what view I am in. And when i go to tablet or phone view it squishes the images terribly and if I keep the excerpt it elongates that as well. I am new to website building and could use some help on this. Thanks! Hello – I am wondering if there would be a nice way to show the excerpt upon hover? I love having the look, but am wanting an ability to nicely see an overview. The problem, I find, is sometimes too little information is given and I am trying to strike a balance. Yes. You would need to alter the CSS to position the excerpt absolutely, have the opacity set to zero and then change that to 1 on hover. You will also need to change the title to opacity 0 on hover. I don’t know if you easily know off hand where those code changes need to be made… but I am having a hard time. I have figured out how to hide the title on hover, but not display the excerpt on hover. This helped me to get understand the blocks and layout on 4 column but i am looking to achieve http://www.ivygate.co.uk 4 column image blocks on homepage. Can you please help me to findout how i can achieve this? Does this required any CSS or is it simple and built in option within theme. I have tried all modules but nothing is forming up with static text and overlay style in 4 columns. Please advise. Helped me a lot with fixing my problem. Could you please explain what these lines of code are doing? great tutorial and really clear – I’m going to have a go at implementing it now! 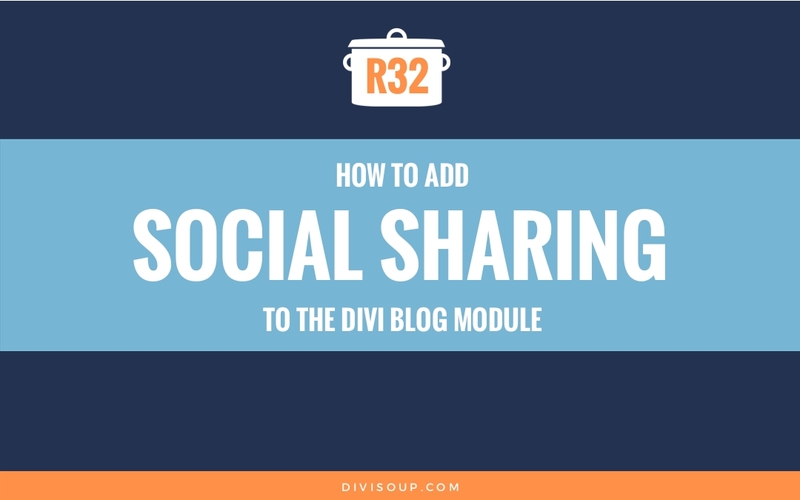 This may be slightly off-topic but I wondered if you knew of a way of enabling some posts on the blog page to spread horizontally over two columns? I’m thinking of something like the independent.co.uk website where they’re presumably categorising their posts in a particular way to determine size and shape. Do you have a link Laura? same problem for me . please HELP ! So they scale. But the issue you have is that the focal point of your images are a different position for each so sometimes the person may be in the middle of the square and sometimes cut off. It would be best practice to get some uniformity to your images. You can also try using a free image editing service like https://www.picmonkey.com/ which also you to visually crop images in just a few seconds. This has been a helpful tutorial and I appreciate the amount of detail you’ve given explaining all the CSS, but despite my best efforts in tweaking the code to my layout, I’m having a little trouble. You use the object-fit property to modify the featured image into a square, but how could we change that to a 1:2 ratio crop of the feature image? Thank you very much for the work on this! I’m using the two column blog layout. Very Nice. Thanks Kelly, glad you like it! This is great. Is there a way to get 3 columns with a sidebar? Thanks a lot for your great tips! I’m struggling with this problem. I would also like to have a blog layout with 3 columns and the sidebar on the left. I would like to keep the read more button, the excerpt, author and comments. I haven’t managed to make it work. Do you know how it can be done? Thanks in advance for your help! Can you give me a hint on how to adjust the css so it will show the image in square and the title, date and category centered underneath? I would appreciate your help. Thanks! For the square images, check out some of my other blog module recipes, a few of them have instructions for changing the image sizes. Great job Michelle, how about if i want it to be 5 rather than 4 what i have to do! thanks. Thanks a lot, looking froward for your coming tutorial. Wish you luck. I would like to add this to the 2nd column of the row. When I tried it in one column row it worked fine. But when I added it on the 2 column row and put it on the 2nd row it didn’t work. Sorry, I got it now. How can I remove the spaces between post? Thank you. @Michelle : Thanks a lot for this tuto ! @Ozelle : How did you manage to have it work on the 2nd column of the row (I search but can’t seem to find a solution to apply the 3 columns style, always end up with two) ? Thank you so much for this! 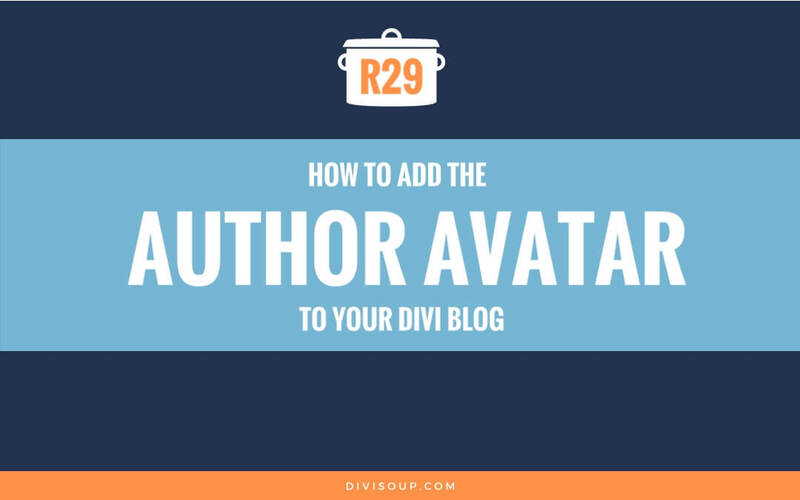 Since I am a Divi Newbie, I was wondering, if and how I can do this style to a single picture, with a backlink. I want to display some things, other than my Blogposts, with this style and would like to display my Blogposts in another way! I like to use 4 col and I got it all to work BUT i also like to have a separate background for each col such as col 1 is red, col 2 is blue, col 3 is green and col 4 is teal [just examples] Since im not an css expert I would like to know if there is a simple way to do this? Thank you. I found your site and I will be coming back often. Keep up the good work!!! As always, beautiful! Thanks Michelle.